It was called The Cultivator, and it was an instrument of torture. 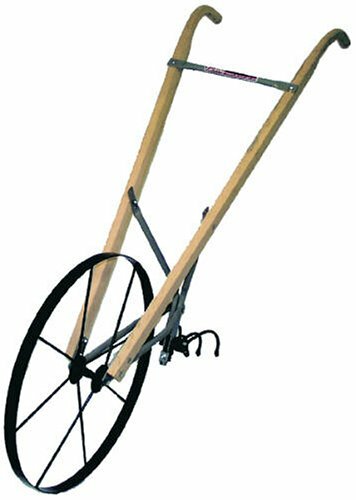 A creaky, curmudgeonly metal wheel in front of four plow blades that we would muscle through reluctant spring soil, blisters blooming on our hands as we heaved and hoed the damn thing along. It was a fantastic tool – for hanging on a barn wall as a quaint reminder of the way things were done in days long gone by. But at our house it was still very much in use, a purgatorial precursor to the actual planting of the vegetable garden. The preparation was holy hell, but when the soft moist soil was ready to receive the rows of green beans, the hills of summer squash and cucumbers, the tomatoes and peppers and Silver Queen corn, the Brussels sprouts and cabbages, I was right there with my family, taking part in the beginnings of a metamorphosis that was nothing short of miraculous. You take a brown beet seed, rough and irregular as a nugget of raw gold, place it in a shallow trench a half-inch from its neighbor, push the black soil on top of it, pack it down, and in a very short while up shoot the curled, furled folds of green leaves, the solar panels that pump energy into a bulging bulb of juicy beetroot. Let me reiterate. You take a tiny, dessicated speck of a seed, put it in dirt, and it transmogrifies into food. It seems so basic, so fundamental, yet so miraculous at the same time. Jack’s beanstalk had nothing on a row of radishes. My dad had an intimate and extensive knowledge of how to grow things, and he passed that on to his kids. All of his five children now cultivate vegetable gardens (without, however, The Cultivator). There are some very good reasons for gardening with your kids. It teaches them about the natural world. Kids learn about the seasons, about the importance of sunlight, nutrients in the soil, the water cycle. They discover the importance of earthworms, ladybugs and other beneficial insects, and how to deal with unwanted pests without harming the environment. It fosters a sense of responsibility. Being invested and involved in a garden means that the associated weeding and watering chores are welcome, and children learn that they are responsible for the care of what is theirs. It provides physical exercise. While gardening isn’t likely to get their hearts pumping as much as say playing football, it still necessitates getting off of the sofa and getting some activity – exercise that is both fun and productive. It promotes self-confidence. They set a goal – growing a patch of sunflowers and carrots, for example – and set about achieving it. When they can see the tangible results of their efforts, it creates a sense of achievement and pride in their work. 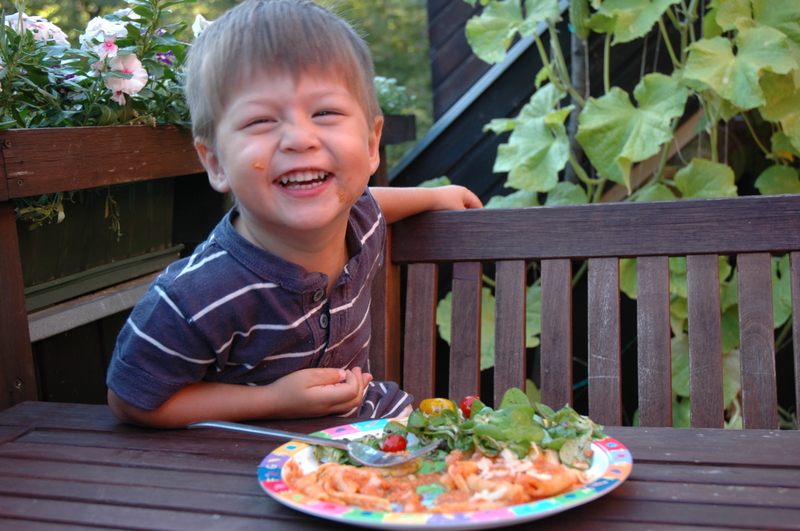 Being able to sit at the dinner table and say “I grew this” boosts self esteem. It builds family bonds and teaches cooperation. When the whole family works together in the garden, they share time, knowledge, effort, and ultimately success, much like a sporting team. It teaches responsible citizenship and sharing. Gardens at times produce a glut of certain vegetables, and sharing these with neighbors or a community food bank allows kids to practice the act of giving. It gets them actively involved in good nutrition. Not only does a vegetable garden provide fresh produce for the table, it both teaches kids the importance of fruits and vegetables in the diet and encourages them to actually eat the damn things. The first stop when we get home from school is the garden, and the kids love to pluck sugar snaps, sweet peas, cherry tomatoes, peppers and green beans right from the plant and eat them then and there. Vegetables that might be looked at askance when they come from the supermarket are suddenly firm favorites when they come from the garden. It helps reduce the symptoms of ADHD. Outdoor, green-space activities such as gardening have been conclusively shown to considerably relieve the problems associated with ADHD, not only during the activity but carrying over into their daily lives. It develops a sense of patience and an appreciation for delayed gratification. Some plants grow quite quickly, but they don’t mature overnight. Being involved in the process from planting to harvest allows kids to acknowledge and even enjoy the necessity of waiting, while they can still see new growth and development each day. In short, the benefits of gardening together as a family far outweigh any inconveniences of time and effort on the part of parents. To me, gardening with your kids is one of the most important single acts you can do in raising your children. And don’t think that you need to buy a farm or even have a huge plot of land to get your kids into gardening. 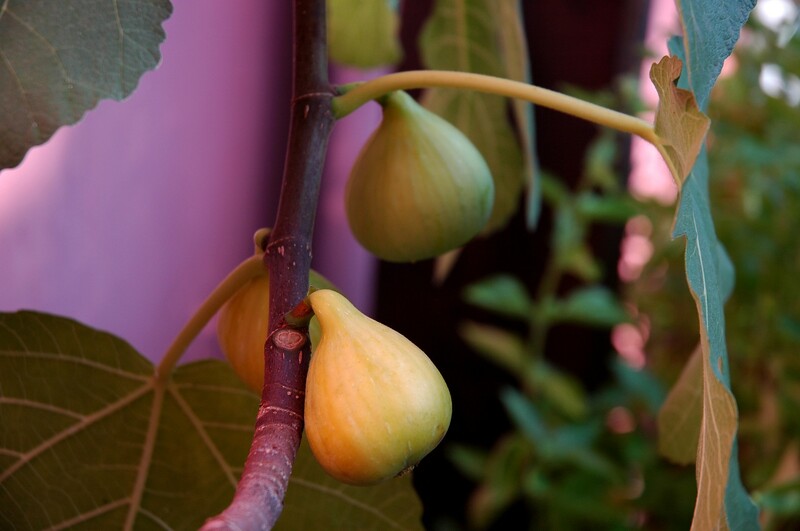 In addition to our vegetable garden, we’ve grown cucumbers, tomatoes, beans, squash, figs, strawberries, basil, mint, and all sorts of herbs right on our terrace, a space of only 12 square meters (129 sq. feet). If you’re new to this and need some guidance, there are loads of resources available out there. Gardening with Kids has excellent products, ideas, and even lesson plans for parents, teachers and schools. 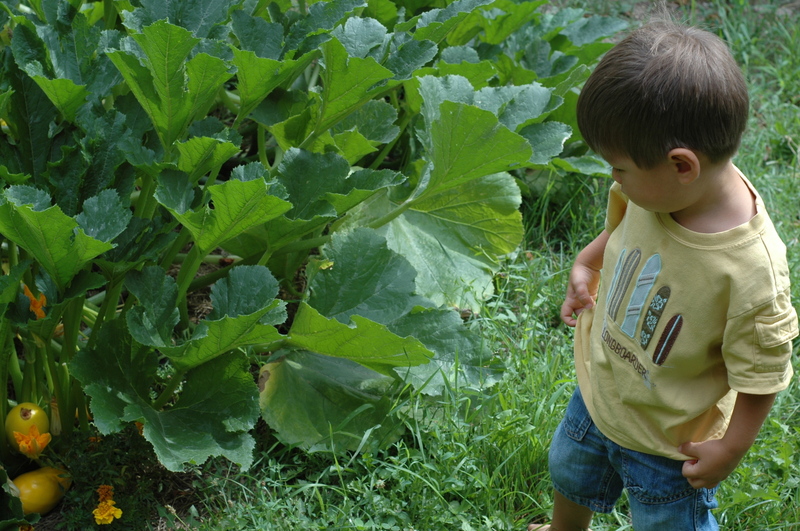 Kids Gardening has a Parents’ Primer that offers step-by-step instruction and inspiration. You can also find great information about gardening with kids at Organic Gardening and Eartheasy. In our next post I’ll be dishing tips and outlining specific ideas for creating a garden with your kids, so stay tuned for that. And by the way, gardening is good for you, too, from reducing stress to avoiding osteoporosis, diabetes, age-related dementia, and some forms of cancer. So go get yourself a shovel, for goodness’ sake, and start planning your garden. We had to have a garden when I was a kid. I hated it. I hated the chickens, too. Each has been fun for the kids and I. We don’t need a garden the way my parents did, but we’re growing character. Thanks for visiting, Steve. Yeah, we don’t NEED a garden in the same way as previous generations (although we may in the long run), but at the same time we need them even more. No doubt your kids are learning really important lessons about so many things, and they get fresh eggs in the bargain. Awesome. Sure it’s a bit of work, particularly in the beginning, but it’s a labor of love that’s absolutely worth it. Good on you for gardening with your son, and thanks for reading! Nice post…it is nice for children to be involved in gardening. I’m so excited about reaping this years harvest. Yummy salad and tomatoes. I agree-So much fun, satisfaction and delight comes from gardening together. Oh man, there’s nothing like ripe tomatoes from the garden. They’re almost like a completely different vegetable from supermarket ones. Thanks for your comments, and happy gardening! A fantastic way to spend quality time for all the family and great development for kids and adults alike. I’m inspired to turn some lawn into a veg patch? 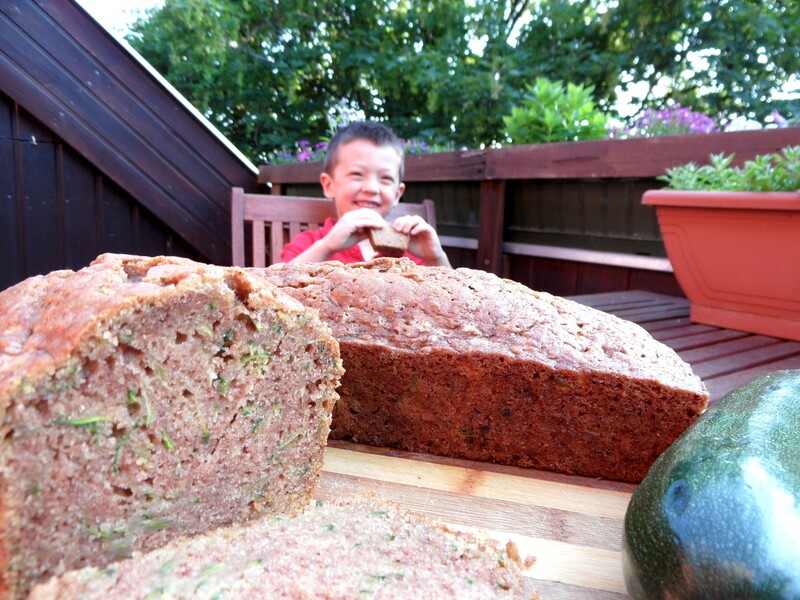 The zucchini bread looks very tasty! The zucchini bread is tasty indeed. In fact, if you do a search on the blog you’ll come across the recipe for it. Thanks for the reblog! Reblogged this on Honey, I'm lost with the kids!. I am, as always, thankful and grateful for the reblog. And I’m glad that folks like the kids’ story. Cheers! Inspiring Post… I wish I had read this ten years ago! It’s never too late, JC. Even if your kids are grown, gardening is great for you, too! You can also see if there are any community gardens in your town or school gardens where you could spend a couple of hours a week. Thanks for checking us out! Thanks! I love gardening but the kids are not kids anymore… flown the coop and all that… I wish I had inculcated a love of gardening, though I am sure that when they get a little older they will also catch the bug, if you pardon the pun! But you can see the happiness shine from their faces when what they plant grows into something they can eat. I’m a happy mom of my happy kids! It’s amazing how much more into the veggies they are when the kids have grown them themselves. And while I didn’t talk about sprouts, a sprout growing kit is cheap, takes no more space than a jar on your kitchen counter, and is almost instantly gratifying. Not to mention that most sprouts are incredibly nutritious. Thanks for your comments! Great post! I love gardening, too, and hope to pass it on to my son. He’s just a little over a year, so not too involved yet, but loves being outside and watching at least. Well, Dr. Rice, you surely know the health benefits of gardening. And pretty soon your little boy is going to want to do his part in digging and planting as well. Enjoy! Oh man, I love it when the light goes on – for anything. Your daughter has a head start on a lifelong love of plants, nature, and good food. And tell me, is there anything better than the scent of tomato leaves? My youngest son now copies me and rubs his fingers over the leaves and then sniffs them. Love it! Thanks for this post we love gardening with our son! He has tried so many new vegetables after watching the growing cycle. This year he wintered his first mint plant to make his favorite tea this summer. It amazes me how much more willing they are to try something straight from the garden. Your son is getting a very, very important education. Hope you have a great garden this season!